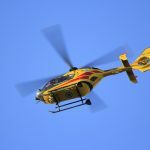 The Helicopter Safety Alliance recently held a Helicopter Safety Stand-Down in conjunction with the FAA Safety Team and the Virginia Department of Aviation. The Fredericksburg, Virginia, event was a success, and I look forward to meeting with more maintainers, pilots, and managers at similar events around the country. One piece of feedback from an attendee was that there was “too much stuff about SMS.” In other words, quit trying to shove safety management systems down our throats. We don’t want to hear about it. Brother, I hear you. I used to think the same thing. I’m actually not that big of a fan of the Ph.D. safety guys. I stop listening too when they talk about the four pillars, the 12 principles — what does that all have to do with flying? This is where I’m supposed to reminisce about all the great flying that was done in the “ride ʼem, wreck ʼem, never check ʼem days” of the 1960s and ʼ70s. We thought every limit was there to be exceeded — and we had the high accident rate that goes along with that attitude. One of the reasons I became an SMS convert is that it is a safety system that works in the real world. In fact, a key feature of an SMS is that it be EFFECTIVE in making your operation safer. In the past, operators would have a safety day, put some posters on the wall, and call it a day. SMS is different. It’s not so much concerned with safety posters, although it does require that every person in your operation be committed to improving operational safety. In fact, they should care about it so much that they report — and sometimes self-report — when safety hazards occur. In SMS, you don’t treat every hazard the same. Instead, you judge them according to severity and likelihood. In other words, how often would this happen, and if it happened, how bad would it be? Then you put the most effort into treating the worst hazards. And you keep track of what you did and measure its effects, so you can troubleshoot your strategy or methods if necessary. That’s SMS. And frankly, I think it is a pretty good way to improve safety in helicopter operations. But don’t just take my word for it. The FAA, EASA, Transport Canada, the U.S. 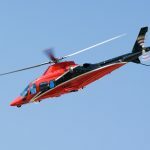 Helicopter Safety Team — yes, and those Ph.D. safety guys — they all say the same thing: modern aviation safety is SMS. In fact, the FAA so believes in SMS that it is a centerpiece of the agency’s new compliance philosophy. Under the new policy, introduced in 2015, the FAA has moved away from a punitive approach to unintentional deviations or noncompliance with the FARs. Operators who have an active SMS program will receive counseling or education instead. The compliance philosophy is not about punishment. Instead, it’s about helping the operator to move back into compliance. Still, it’s good to know that if you are an operator with an active SMS program, violations or certificate actions are NOT going to be the first thing on the table when you have an FAA issue. If you are serious about safety in your operation — and remember, modern aviation safety is spelled SMS — you get the blanket, not the brick. However, while SMS isn’t complicated, it’s also not easy, particularly when you have to think about safety in an entirely different way. And for small operators, SMS can seem a distraction from the important tasks of keeping customers happy and finding new customers to keep happy. SMS may seem like a big mountain to climb, but I firmly believe that it is a worthwhile journey. While I appreciate the SMS fatigue that some of you may be feeling, I’m afraid that I can’t stop talking about something that I think is so important for our industry. The Helicopter Safety Alliance believes SMS will make a difference in your operational safety, and we plan to help you get there. Producing free safety education events for pilots, maintainers, and managers is one way HSA wants to help. 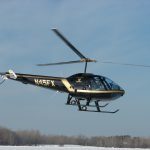 And in the coming months, the Helicopter Safety Alliance will introduce programs that are specifically designed to help small helicopter operations enjoy the same level of safety as the big guys. If you want to learn more about SMS, please attend a Helicopter Safety Stand-Down in your area or check out helicoptersafetyalliance.com.